Looking for a unique way to keep a lasting memory of your pet while at the same time raising funds for a worthy cause? Then I might have just the thing for you. 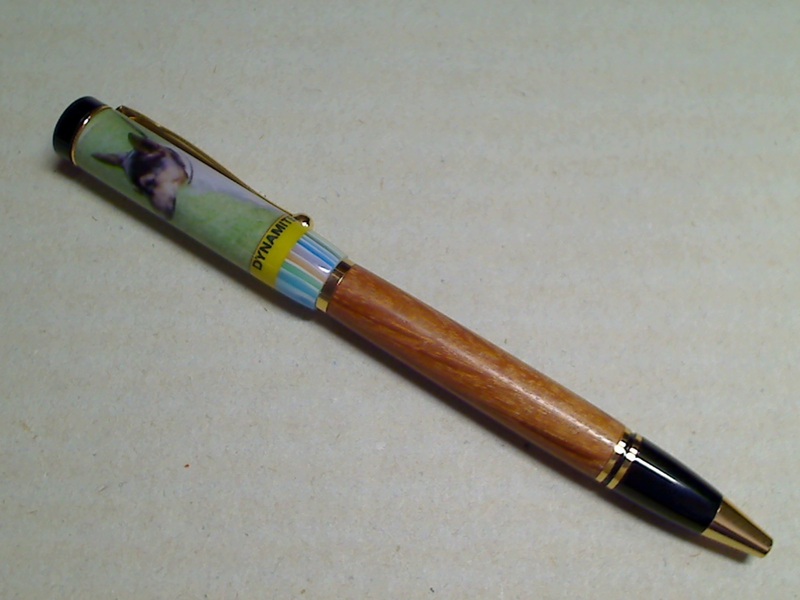 Max Allen has perfected a unique technique to insert personalised photos into the top barrel of a timber and synthetic combined pen. These pens make great gifts for dog lovers and are the perfect memento of your canine companion. Max donates all profits from the sale of these pens to the Hunter Children's Medical Research Institute, which supports research into terminal and debilitating illnesses that affect children. Over the years, Max has raised $10,000 for the institute.